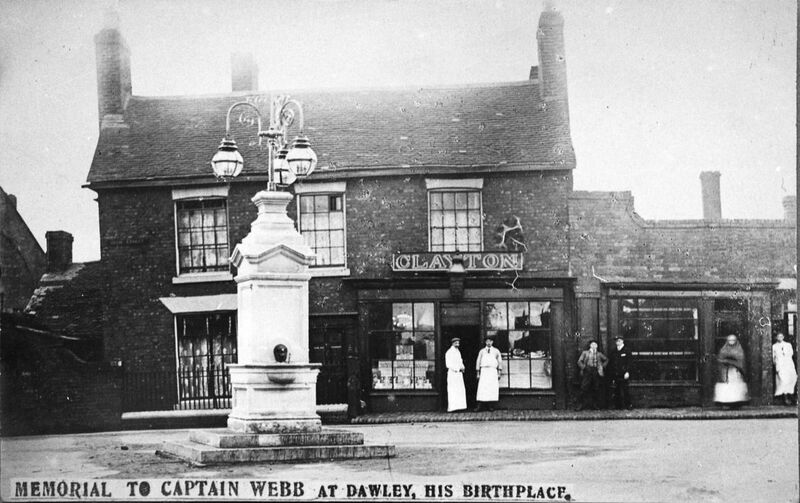 The Captain Webb memorial was erected from public subscription in 1909. Originally it metal drinking cups and piped water. At first it stood in front of the Lord Hill Public House, and had three gas lamps. This changed first to a single electric lamp. The memorial has been moved a number of times in its history. It was refurbished and re-erected at its original location in 2009 on its hundredth anniversary. However, when the road was reopened in 2010 it was moved to its current position. It bears the inscription ‘Nothing Great Is Easy’.